The earliest examples of books illustrating the game of chess are miniatures in medieval manuscripts, as well as poems. These often were created with the purpose of describing rules. The first printed work on chess to survive to the present day is Arte de axedres, printed in Salamance, Spain, dated to 1496-1497. It combined both medieval rules and new rules to present the numerous chess problems. Although, with the printing of Questo libro e da imparare giocare a scachi, (GV1442 .D3) published in 1512, a new take on the art of chess was established. Pedro Damiano, a Portuguese apothecary, facilitated a new understanding of chess by solely focusing upon updated strategies, not containing a single reference to the older chess practices. He demonstrated a few openings, gave chess advice and introduced the smothered mate. A section entitled ‘Arte de giocare alla mente, is an explanation of how to play blindfold. It became the chess bible for the next fifty years, going through 8 reprints. England and Germany received the reformed game by 1530. Das schach-oder konig-spiel, (GV1442 .A8) by Gustavus Selenus, is another rendering of the game of chess in our Rare Book holdings. 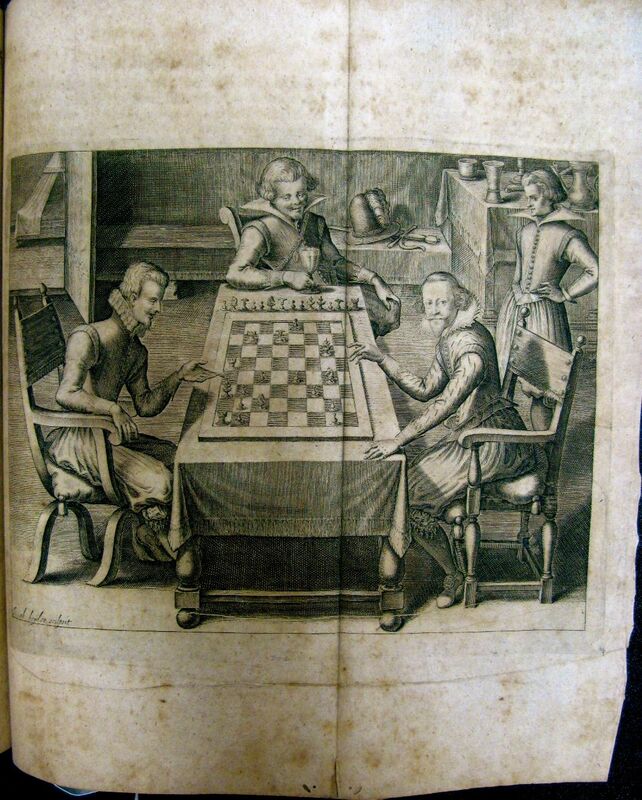 It’s one of the earliest detailed accounts of living chess and the earliest German chess book, 1616. His use of chess notation in 64 numbers made his chess book very difficult to study.